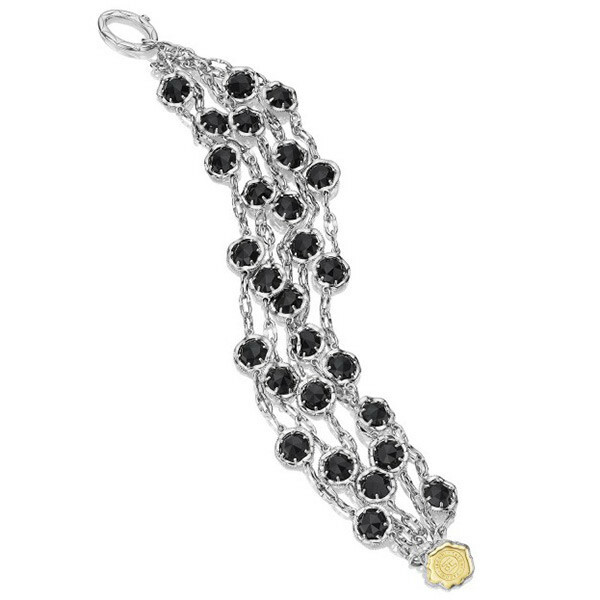 From Tacori's Black Lightning collection, this bracelet is as fierce as its name. This multi-strand gemstone bracelet makes a statement, without stealing the show. Rockin and rollin in Black Onyx, while still keeping it classy and feminine.